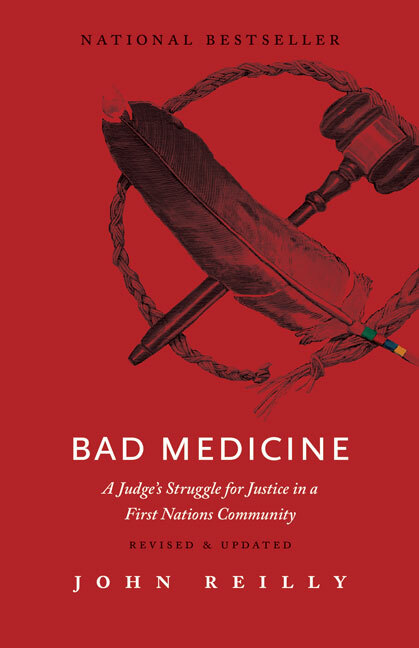 John Reilly’s first book, Bad Medicine, was an immediate sensation and Canadian bestseller that sparked controversy and elicited praise nationwide for its honest portrayal of First Nations tribal corruption. This revised and updated edition details the latest legal developments surrounding tribal leadership and the state of governance on Canadian reserves. Early in his career, Judge John Reilly did everything by the book. His jurisdiction included a First Nations community plagued by suicide, addiction, poverty, violence and corruption. He steadily handed out prison sentences with little regard for long-term consequences and even less knowledge as to why crime was so rampant on the reserve in the first place. In an unprecedented move that pitted him against his superiors, the legal system he was part of, and one of Canada’s best-known Indian chiefs, the Reverend Dr. Chief John Snow, Judge Reilly ordered an investigation into the tragic and corrupt conditions on the reserve. A flurry of media attention ensued. Some labelled him a racist; others thought he should be removed from his post, claiming he had lost his objectivity. But many on the Stoney Reserve hailed him a hero as he attempted to uncover the dark challenges and difficult history many First Nations communities face. John Reilly’s experiences and prescriptions for change provide an enlightening and timely perspective. He shows us why harsher punishments for offenders don’t necessarily make our societies safer, why the white justice system is failing First Nations communities, why jail time is not the cure-all answer some think it to be, and how corruption continues to plague tribal leadership.